A Society for all Paisleys of the name or blood (and all variants of spelling) was established in 1988, the year the Town of Paisley, Renfrewshire, celebrated its 500 year status as a Burgh of Barony. In the first ten months of the Society's formation, 57 Paisleys rallied to support the call to 'unify' Paisleys worldwide. 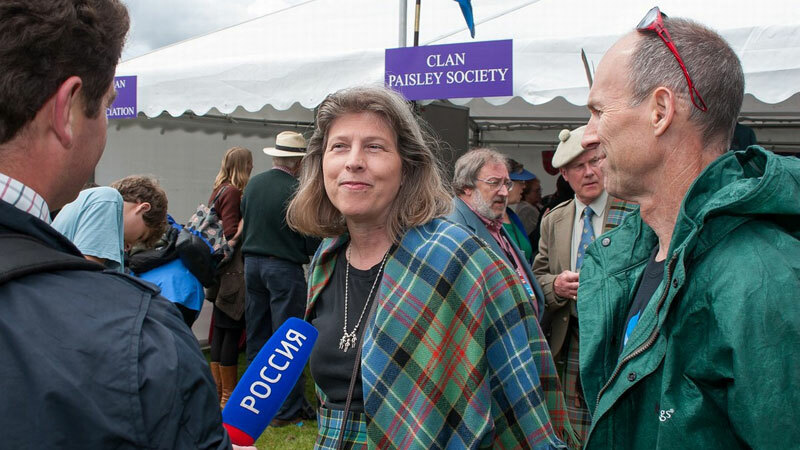 An increase in similar numbers attending the gatherings in Scotland each year has produced a membership of over 800 worldwide. The society has three branches in the USA represented by an appointed commissioner and representatives in Australia and New Zealand each having a representative. Anyone of the name or blood is welcome to join. The Paisley Family has a number of allied families with which it has been connected by blood and involved with for many centuries. These include: Lang, Moore, Carrick, Dirom, Rankin, Sloan and Hogg. If you have any enquiries about the Family or Society, or wish to become a member, please contact us. We would appreciate any genealogical and family background information to be included on a separate sheet. 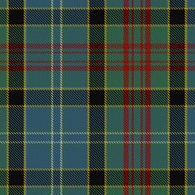 The Family has a most attractive tartan designed in 1950 and woven in 1952 by Alan C. Drennan, a manager of Anchor Mills in Paisley. It won the craft award in the open class at the Kelso Show in the same year. The tartan is available through most major stockists. 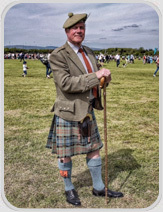 The livery badge, or Strap 'n Buckle, traditionally worn by the followers of the Chief or Laird, has become established as the symbol of identity for all clan (family) members. 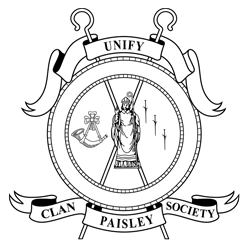 To legitimise the follower status, members enter into a formal Bond of Manrent (form available from the society secretary and also to be found in all copies of our Journal). Upon return of a signed Bond of Manrent, the Strap 'n Buckle will be made available.